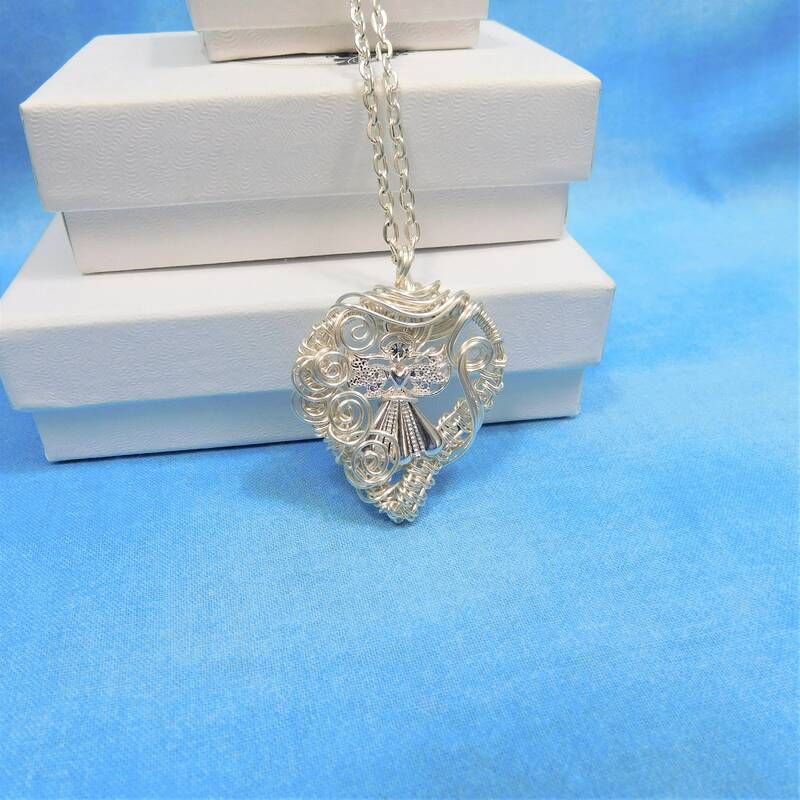 A beautiful silver angel rests within a meticulously artisan crafted, woven and sculpted wire heart. 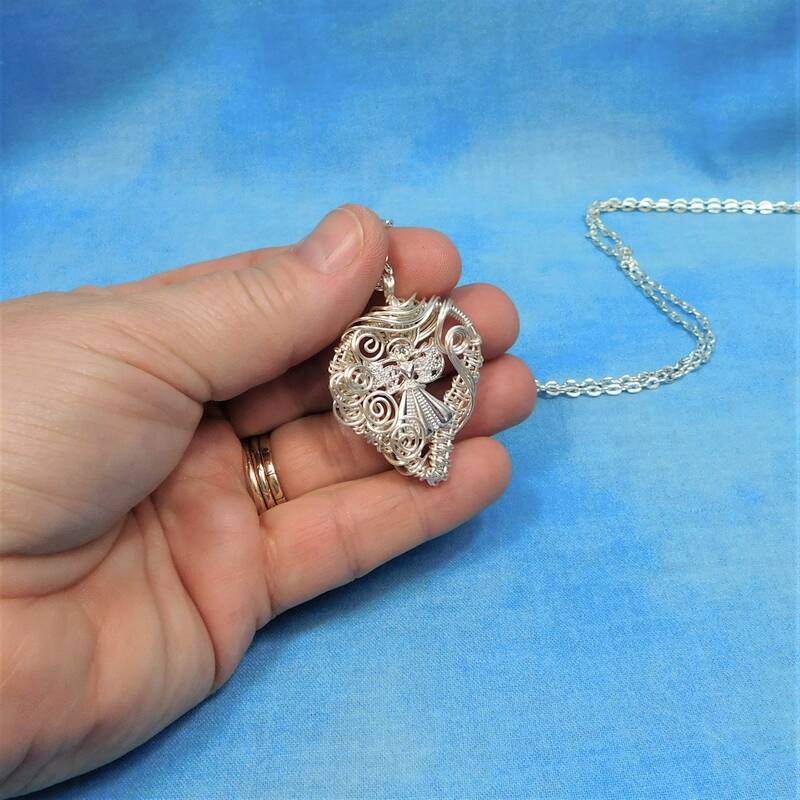 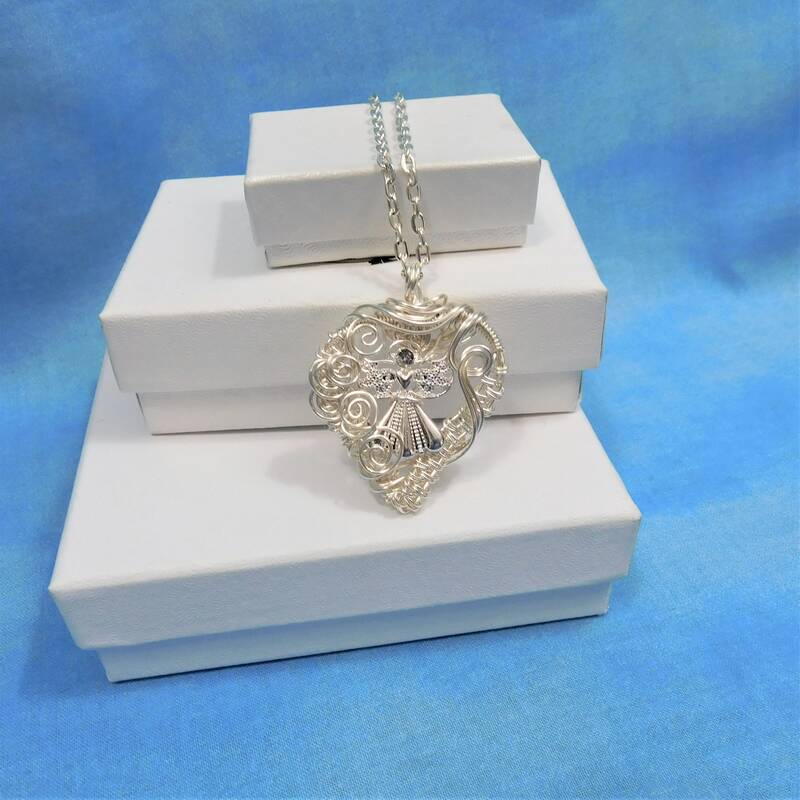 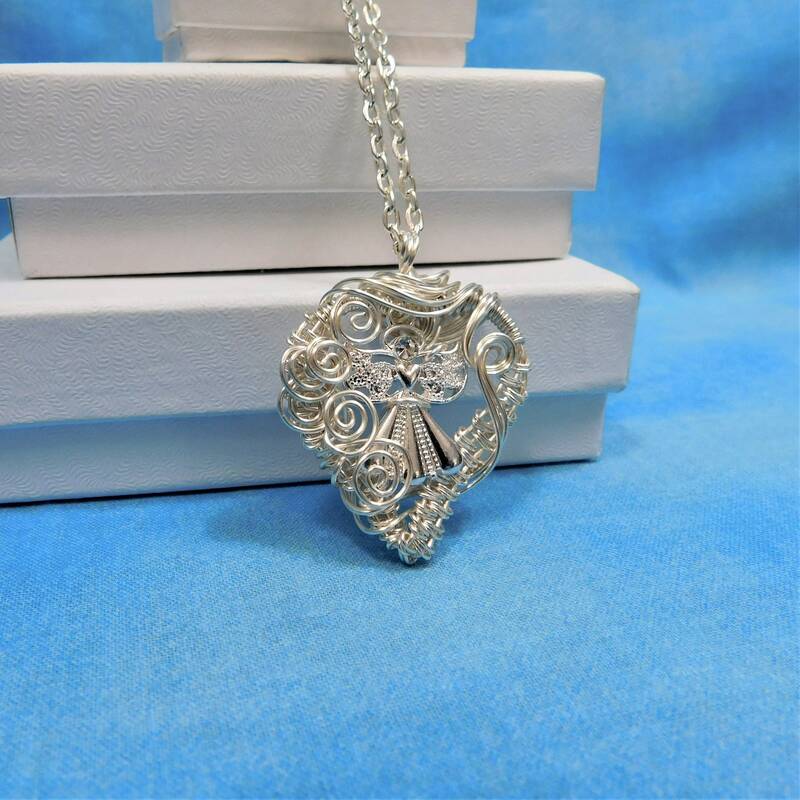 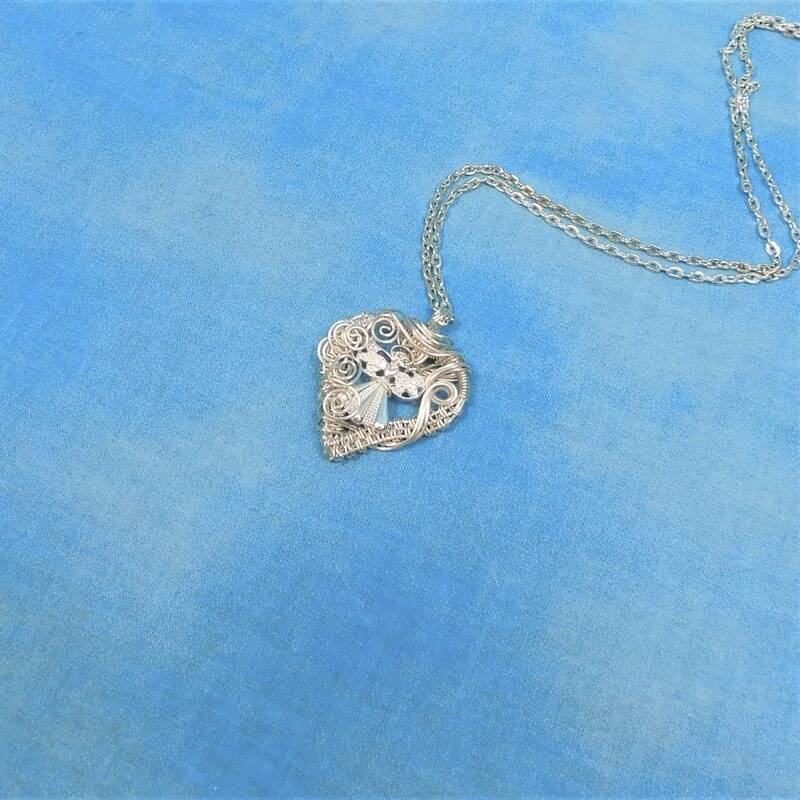 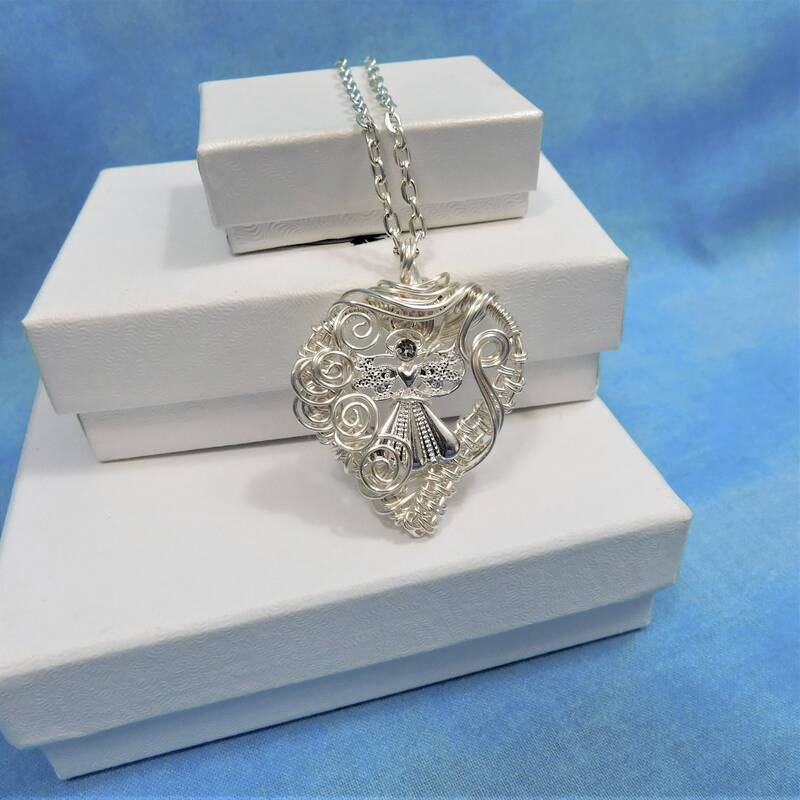 This pendant would be a lovely memorial gift for Mother's Day, a birthday, or any significant occasion when those memories of a loved one are especially near. 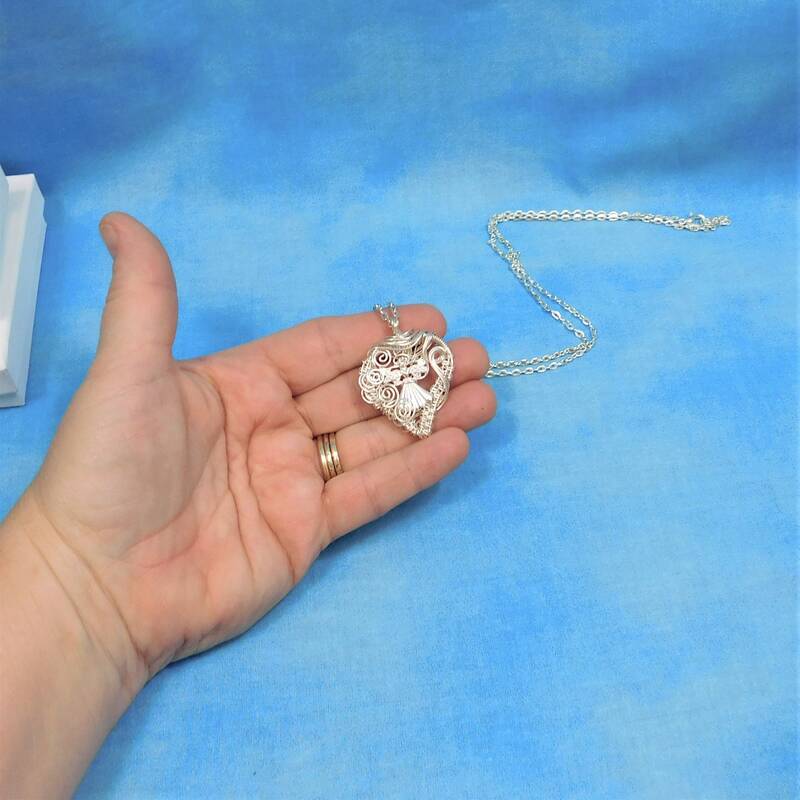 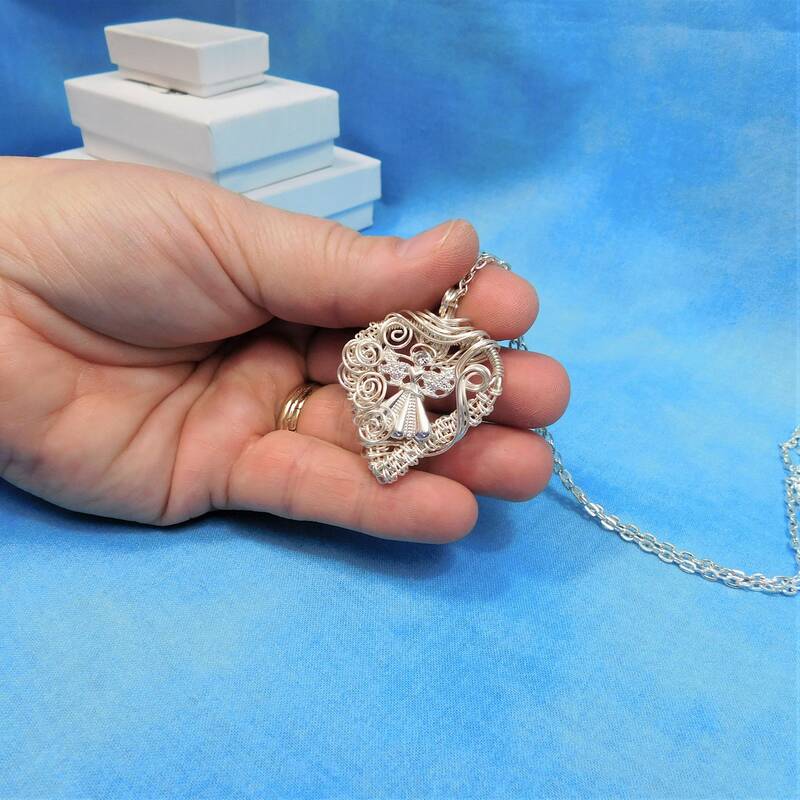 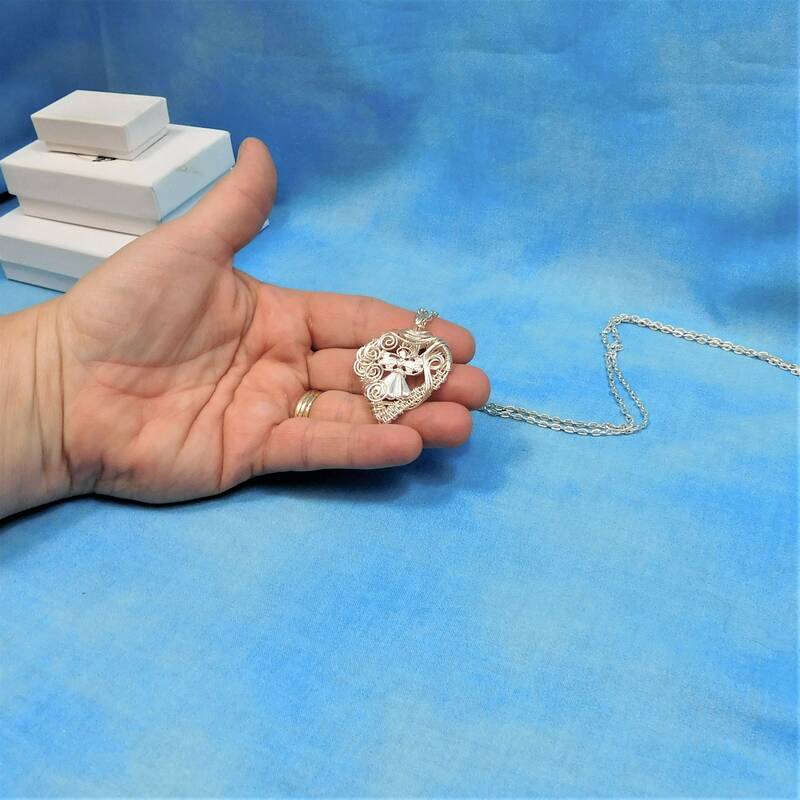 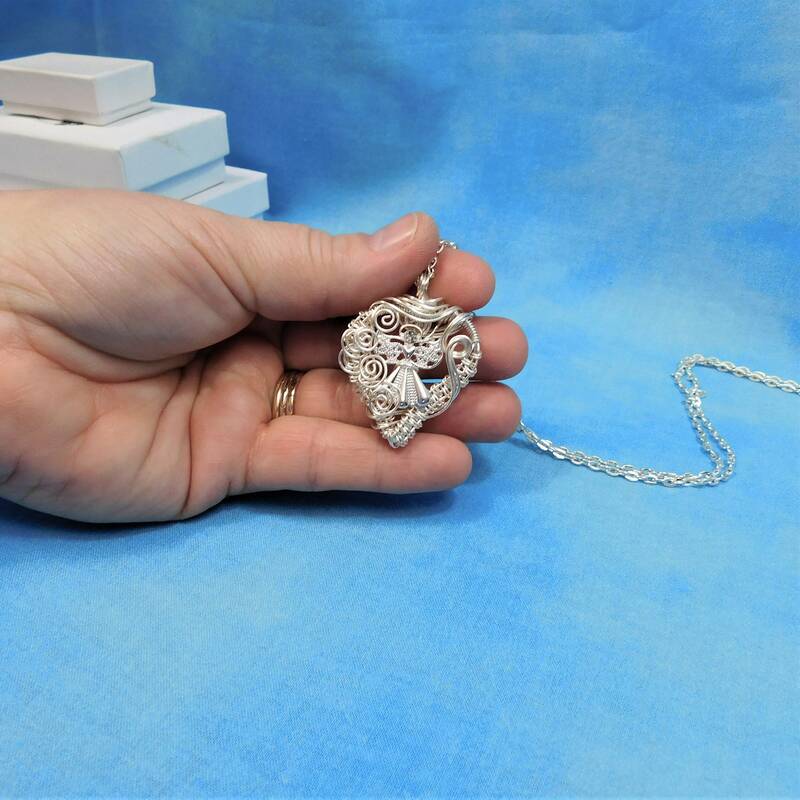 The heart measures 1 1/2 by 1 1/4 inches and comes with a FREE coordinating chain with lobster claw clasp, measured to your preferred length.